The SSRCE Regional Science Fair was held on March 28 at the LCLC in Bridgewater. 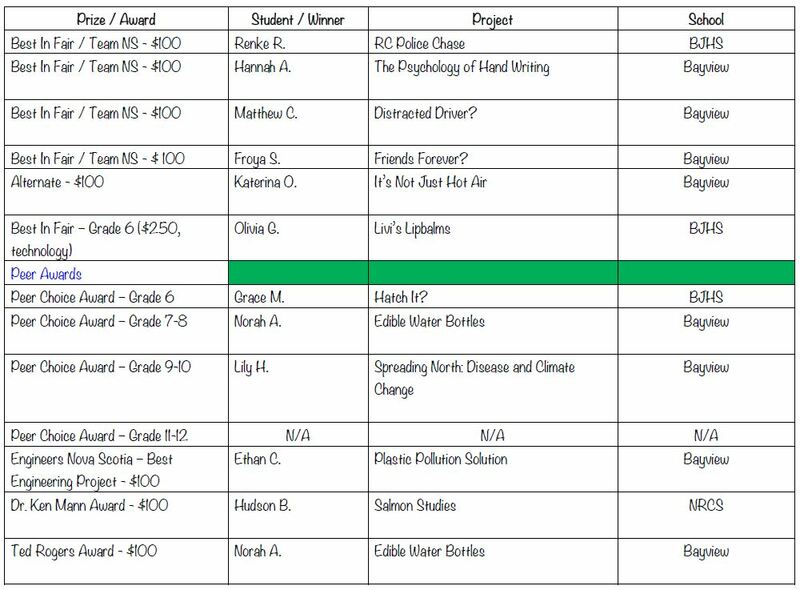 There were so many interesting projects this year with students presenting on a varity of topics including the speed of light, disease and climate change, dog behaviour, and more. 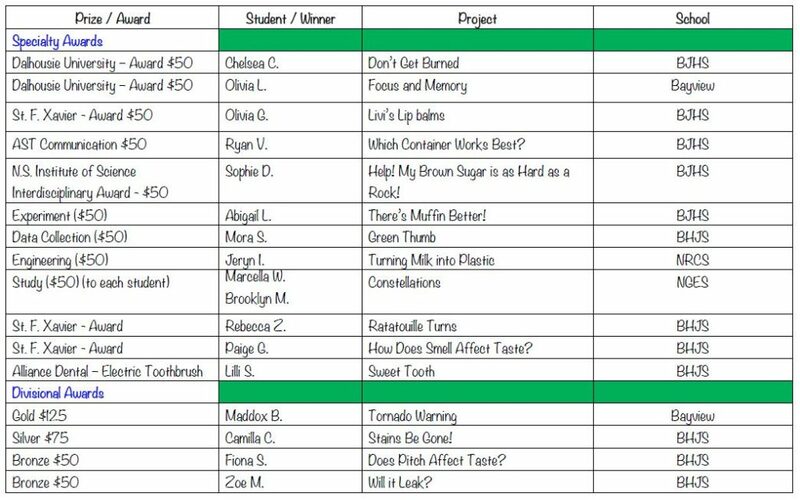 Well done to the many students who had projects for the fair and congratulations to all participants and winners. A special thanks to the dedicated regional and school staff who organised the fair and to the sponsors who supported it. Below are the award recipients.